WWE SmackDown 1000 Results (10/16): Rey Mysterio Returns, More! To get prepared be sure to check out our full preview for tonight’s show, here. Following a brilliant opening package showing highlights from SmackDown history, we officially kick off SmackDown 1000 with another episode of Truth TV! Truth claims the show has had tons of memorable moments but Carmella quickly reminds him this is only the second ever episode, so R-Truth decides it’s time for a dance break. Truth welcomes the first guest and it happens to be… Monday Night Raw Commissioner, Stephanie McMahon, who gains her usual reception. Stephanie reminds everyone she was the first GM for SmackDown and that it is incredible to see her vision come to life on the 1000th episode of the show. Wait a minute… He’s back! The SmackDown Commissioner, Shane McMahon is here! Shane officially welcomes everyone to SmackDown 1000 and thanks the fans, claiming this wouldn’t be possible without them. Stephanie questions why the fans are buying it so easily, but Shane cuts her off and welcomes her to the A show. 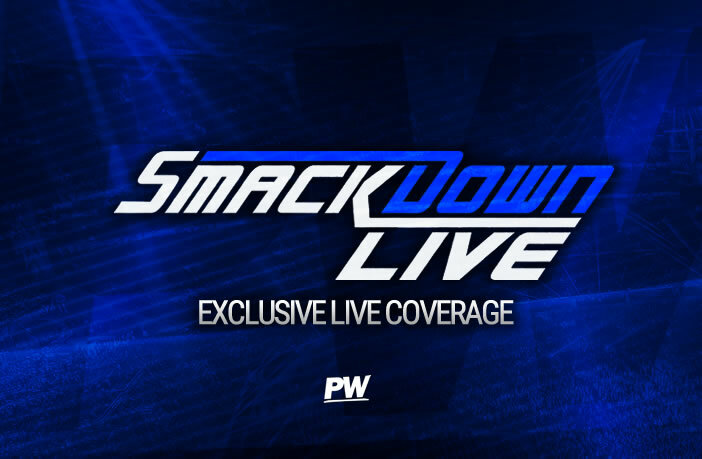 Stephanie adds that she loves SmackDown, but it’s the second weekly episodic show in history, and claims on Raw she holds things to a higher standard and wouldn’t kick off the night with Truth TV. The siblings continue to bicker but here comes the real boss…VINCE MCMAHON! Vince is here and receives a massive reaction as the live fans sing every word of his theme song. Vince says nobody wants to hear them argue and fight, the E stands for Entertainment. The fans What Vince and Steph cuts them off saying he has a hearing aid in and Vince says his idea for Entertainment is… Dance Break! Daniel Bryan starts the match in control until a blind tag allows The Uso’s to gain the upper hand as Jimmy Uso begins to light up Bryan’s chest with some huge chops. However, Bryan shows his skill and a quick single-leg takedown turns things around as he tags in the champion. Styles then shows his brilliant striking style but once again the former tag team champions regain control with a great double team kick in the corner as Jey Uso begins to stomp down on the WWE Champion. However, things quickly take a turn and Styles locks in the Calf Crusher as Bryan locks in a Heel Hook but The Usos both manage to grab the ropes to keep this match alive. Back from the commercial and the number one contender is lighting things up with some big kicks before he goes flying to the outside with a suicide dive before returning to the ring to hit a missile dropkick, taking down the brothers himself in just a moment. Bryan then gets the crowd going with his huge Yes Kicks but Jimmy managed to make the save just in time to keep the match going, but AJ Styles sends him to the outside. Bryan then accidentally hits AJ Styles and as Bryan tries to apologize, Styles pushes him away and then gets rocked by a superkick. The Usos then both his Bryan with two Superkicks and pin him for a huge win.